Tech Striker offers you the amazing opportunity to upgrade your online store with the industry leading e-commerce platform for fast-growing and mid-market brands. 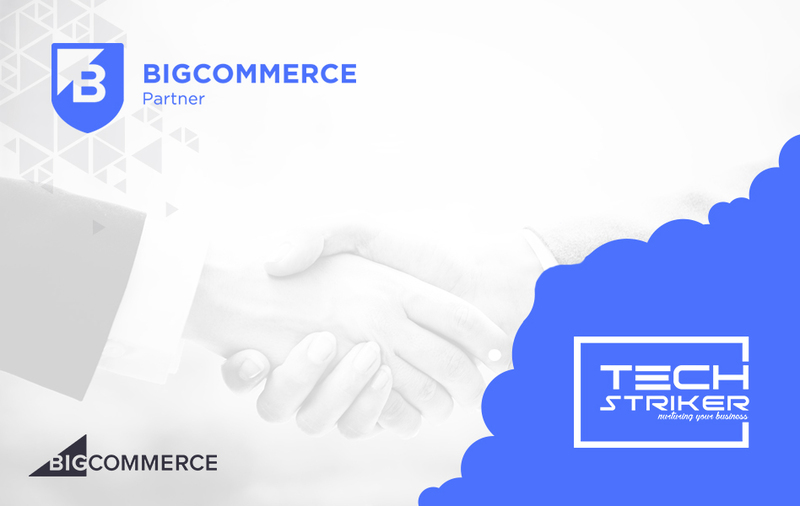 As a part of the BigCommerce Partner Program, Tech Striker enables to offer clients custom commerce solutions powered by BigCommerce. Tech Striker provide a complete web development package to help fast-growing businesses scale and sell more online. We feel proud to bring a new level of integration, service, and support for our clients selling with BigCommerce. At present, companies of all sizes work with BigCommerce to launch, promote, manage and scale successful online businesses through its platform. According to the analysis conducted by market research firm Ipsos, online stores built on BigCommerce grow approximately twice as fast as the e-commerce industry average. By choosing a flexible, cost-effective SaaS model, retailers are able to focus on managing their business, not the technology behind it. It’s time to get a 3x revenue growth in one year as, In their first year on BigCommerce, Tech Striker helps you to get more than 50 merchants and experienced more than 300% revenue growth. Apart from this, BigCommerce open API concept has been key in allowing us to focus heavily on custom work for our valuable customers, which has played a wide role in our success. Tech Striker is an award-winning agency widely renowned for offering best-in-class technologies. Tech Striker offers technology leverage for all those entrepreneurs who are hoping to amplify their ROI by putting resources into the interactive media advancements and versatile applications in current times.